From July, companies can get bigger grants from the Government to redesign jobs for older workers, in a move to encourage re-employment as the population ages. They can apply for up to $300,000 for projects that will make jobs easier, safer and smarter for workers aged 50 and older, an amount double the previous cap under the Job Redesign Grant. A total of $66 million will be available to companies over three years under the enhanced WorkPro scheme, the Ministry of Manpower (MOM) and Singapore Workforce Development Agency (WDA) announced yesterday. The move comes ahead of legislation to raise the re-employment age ceiling from 65 to 67 in July next year. The agencies also said the Tripartite Committee on Employability of Older Workers had announced revised guidelines to keep up with the raised ceiling. It wants employers to give re-employed workers five-year contracts from age 62, up from three-year ones, where possible. Also, it is suggesting a bigger one-off payout of up to $13,000 to workers who are not re-employed. 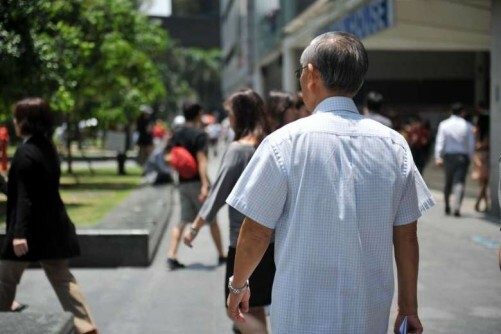 Manpower Minister Lim Swee Say said of the changes: "As our workforce continues to age, we are going to see more and more workers over 60 years old." They currently form 12 per cent of the resident labour force, or about 267,600, a sharp rise from 5.5 per cent 10 years ago. The enhanced grants come under WorkPro, which was started in 2013 to foster progressive workplaces and boost local manpower. The Enhanced WorkPro scheme aims to further encourage employers to create age-friendly workplaces, and is jointly developed by MOM, WDA, Singapore National Employers Federation and National Trades Union Congress (NTUC). Under its Job Redesign Grant,the previous cap was $150,000 for workers aged 40 and older. Under the Age Management Grant, employers can get up to $20,000 to put in place age-friendly work and hiring practices. But conditions have been stiffened: Companies must have at least five workers aged 50 and older, up from 40 and older, among others. A new Job Redesign Rider will allow companies already on the Capability Development Grant and Inclusive Growth Programme for redesigning jobs to get additional funds for up to 80 per cent of project cost, or up to $20,000 per worker aged 50 and older, whichever is lower. Mr Lim said the re-employment age cap of 67 is the next step to help older workers, "but it won't be the final step". He added: "We want our workers even beyond 67 to find workplaces where jobs are easier, safer and smarter for them." Welcoming the announcements, NTUC deputy secretary-general Heng Chee How said: "We urge all companies to prepare and redesign their workplaces to one that is ageless, so that they are better positioned to tap the knowledge and experience of mature workers."